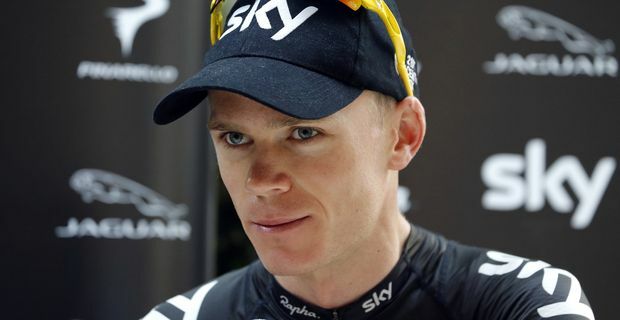 Tour De France leader Chris Froome once more came under close scrutiny and a barrage of questions about doping. The Team Sky rider showed increasing frustration as journalists dealt out the innuendoes. Froome and Team Sky boss Dave Brailsford insist that their riders are clean and have offered unlimited access to doping authority WADA to monitor the team's preparations, but the questions keep coming, fuelled by two brilliant mountain stage victories from Froome on the 2013 Tour. "I just think it's quite sad that we are sitting here the day after the biggest victory of my life, quite a historic win, talking about doping," Froome said after winning the Mont Ventoux stage. "Me and my team-mates have slept on top of volcanoes to get ready for this. We've been away from home for months, training together, working our arses off to get here and here I am being accused of being a cheat and a liar. That's how I feel." In a sense it's a continuation of French scepticism about the success of British cyling under Brailsford. In the past French observers even questioned whether British Olympic success in the velodrome was down to a secret wheel. Brailsford pointed out that meticulous preparation and training were the "secrets". He issued another invitation to the doping authorities. "They can come and live with us," Brailsford said. "They can see all of our data, every single training file that we've got. They can compare training files to blood data, weight; they can capture that information on a consistent basis. They could then tell the world whether they think this is credible or not. That would be my best shot." Even then, he knows the innuendoes would continue to fly. They are inevitable in a sport that Lance Armstrong dominated by consistent doping and consistent lying, where every remarkable achievement must now be seen through a sceptical lens.